One of Central Europe's most prestigious, most popular combined wine - art fest offers a grape harvest parade, Wine Academy, concerts, an insight into the Croatian wine regions, and so much more this year. Year after year, Budapest’s International Wine and Champagne Festival proves to be the highlight of the festival scene in the fall, traditionally presenting thousands of Hungary's best reds and whites, live music, gourmet food and countless programs, in the beautiful historic setting of the UNESCO World Heritage site Buda Castle. Organized September 12-16, this year’s edition is the 21st consecutive. 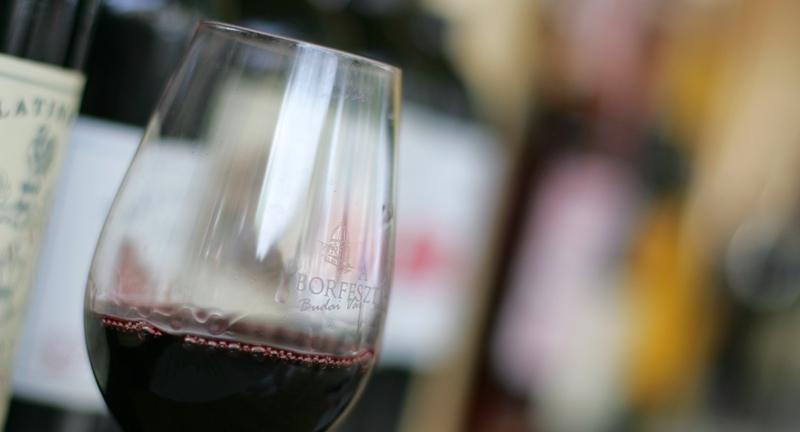 “The aim of this festival is nothing less than to introduce the best wines of Hungary and the world, to invite wine-makers to a personal meeting with wine-lovers and provide an unforgettable experience for everyone,” organizers say. Special attention this year is devoted to the Croatian wine regions. The festival offers a little bit more every year, by taking new programs and services on board. Novelties for 2012 include a rapid rendezvous show where wine-lovers are able to meet each other and hopefully find love that very night. Young winemakers, descendants of the most well-known Hungarian winemakers from the past 15-20 years will be also in focus this year. Visitors will have a chance to taste their new wave wines that express a new energy. The traditional Charity Wine Auction will be held for the 14th time this year. The Wine Academy is also organized again, representing the actual wine market, traditions, historical and cultural issues, supported with enjoyable wine tastings led by Hungarian and international experts. Wine-lovers and those wanting to refresh their knowledge of wine can enjoy high standard, interesting presentations linked with wine tastings from renowned experts. The Vintage March, which moves more than 800 people, offering a celebratory atmosphere, will cheer up the castle district again. The crowd is traditionally led by the governors of the Hungarian wine-regions, representatives of the Truffle Order of Knights, along with numerous folk-dance groups. The nearly 50 different performers to step on stage during the five-day festival include the Csík Band, György Ferenczy and Raczkajam, Besh-o-drom, Ghymes, the Orosz Zoltán Quartet, the Vivat Bacchus Vocal Ensemble and the European Jazz Orchestra, just to name a few.